The independent publisher of a weekly newspaper has appointed a new managing director. Higgs Group, which publishes the Henley Standard, has announced its current commercial director Nigel White will take on the role. Nigel, 54, has been with the company since 2013 and previously held senior positions at Newsquest, in West Wales, and for Trinity Mirror, in the North West of England and Yorkshire, for more than 25 years. He succeeds Neil Ratcliffe, who has stepped down as managing director after 22 years. Neil will remain with the company as deputy chairman and chief executive. 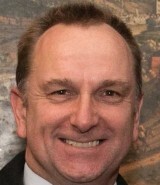 Said Nigel: “I am delighted to be the new MD of the Higgs Group, which has a long and proud history. I have worked with the team for a few years now and am very fortunate to have such a talented bunch who can all help to push us forward and give us optimism for the future. “Like many other publishers, conditions remain challenging but I firmly believe there will always be a place in the local community for a quality local newspaper and that is exactly what the Henley Standard is. * Three new reporters and a sports reporter have joined the Burton Mail. Paige Oldfield, Ben Waldron and Beth Pridding join the reporting team while Richard Cusack joins the sports desk. * Riley Crause has started work as a reporter at the Croydon Guardian, replacing Samantha Mordi who left the title last week. * Luke Sproule has been appointed deputy group news editor at the Oxford Mail, having previously served as education reporter. * WalesOnline.co.uk has appointed Liam Garrahan to the role of video producer. * Joel Holt has left his role as sports editor of the Salisbury Journal to join the Game & Wildlife Conservation Trust as communications officer, while Esther Jackson has joined the paper as sports reporter. * Lancashire Telegraph deputy news editor Jon Robinson has left the paper to join Insider Media as a senior reporter. * Rebecca Parker has moved from website Glasgow Live to join the Daily Record as a trainee online journalist. * David Lewis is to leave his role as news editor at the Edinburgh Evening News to join STV News as digital news editor from next month. * Tom Edwards, political reporter of the Worcester News, is leaving the paper on 19 June to take on the role of broadcast journalist at BBC Hereford and Worcester. Tom also works across sister titles Berrow’s Worcester Journal and the Evesham & Cotswold Journal. * Jacob Ransom has been appointed sports reporter working across Archant sister titles the Newham Recorder and Barking & Dagenham Post. He previously served as a reporter. On the move yourself? Let us know at editor@htfp.co.uk.